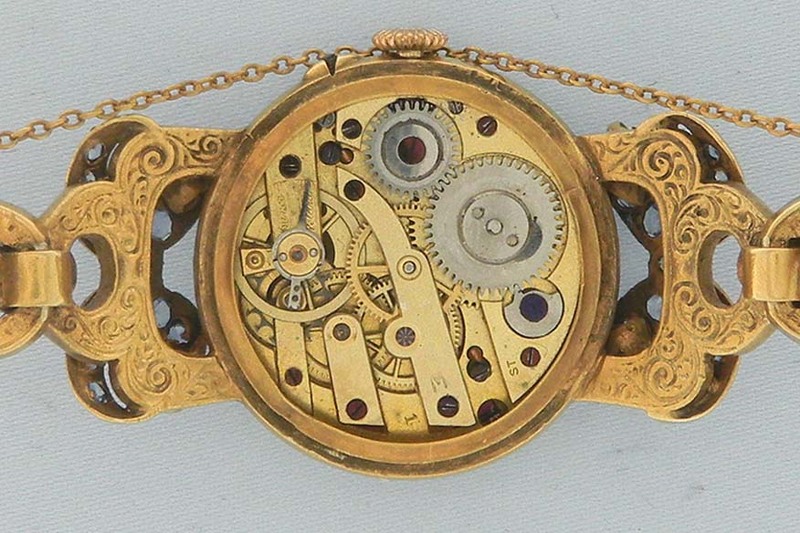 Fine, beautiful and very unusual silver gilt and stone ladies vintage wrist watch circa 1910. White enamel dial with red and gold numbers, gold 5-minute markers and fancy gold hands. Gilt 10 jewel cylinder movement. Overall length 7 inches.